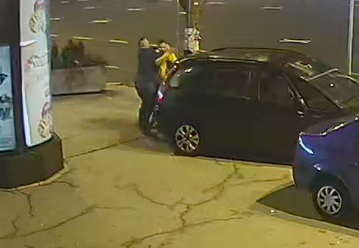 A former UFC fighter saved a woman from being attacked outside a nightclub in Sarajevo, Bosnia and Herzegovina, after spotting her on CCTV. Bosnian MMA star Denis ‘The Menace’ Stojnić now owns the Dorian Gray nightclub, where the unsuspecting woman was attacked as she walked through the car park. The 38-year-old owner saw the altercation on the club’s CCTV and rushed out to save the woman from the attacker, who was said to be bigger than the MMA star. 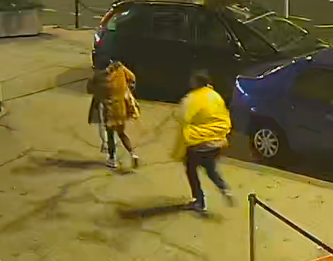 The woman could be seen putting her coat on and collecting her belongings from the steps of the nightclub before walking through the car park, when the attacker rushed down the stairs after her and appeared to grab her by the hair. He forced her behind a car out of sight of the camera and appeared to throw an aggressive punch as Denis came jogging down the nightclub steps. 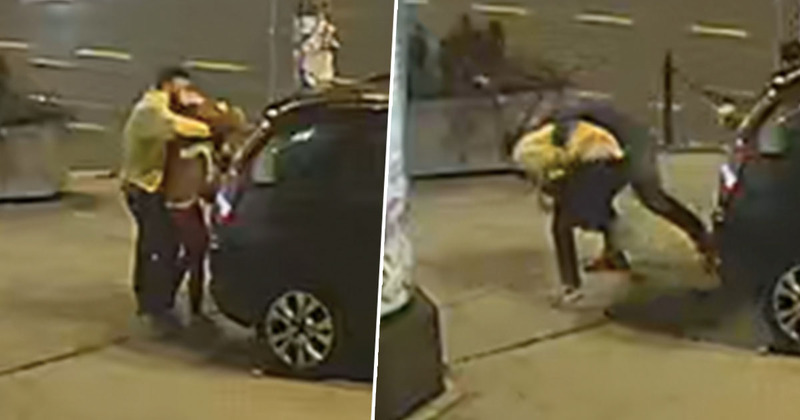 The former MMA star has not fought competitively since 2016, but his fighting instincts clearly kicked in as he grabbed the attacker and pushed him to the ground away from the woman. He then reportedly sent the woman to get a taxi. According to The Sun, Denis explained he had watched through the CCTV as the attacker punched the woman in the head before he ran out to the rescue. I saw on CCTV that a huge man, even bigger than me, hit a woman with a punch to the head. I immediately ran outside and reacted that way to protect the woman from the abuser. I took control over him and with the security team I sent the woman to a taxi, but she did not want to report the case to the police. Unfortunately in our country violence against women occurs often. My duty as a man, citizen and then as an owner of a club is that everyone in the building feels safe. Especially women because they are someone’s children, sisters, mothers. According to Sherdog, the MMA fighter competed for over 10 years, racking up 13 wins and only three losses to Cain Velasquez, Stefan Struve and Jessie Gibbs. His experience certainly paid off when it came to dealing with the aggressive man in this video. At least customers at Dorian Gray can always be assured they’re in good hands when Denis is around. That is putting your craft to the service of the others. Respect sir! 100% knew where the cameras blind spot is. Legend. Hopefully the attacker has learned his lesson.